The MBOX file format is used by a wide variety of email clients to store messages such as Opera Mail, Entourage, Eudora, Thunderbird, WebMail, Seamonkey, Spicebird, Mulberry, etc. The MBOX file format stores its emails and messages in a single mailbox which is the reason the user considered MBOX to be a slow file format. ] Though MBOX files are used in the major platform by the email clients, despite this the user tends to shift MBOX files to PST files format. The reason behind this conversion of MBOX to PST is the user-friendly access and services provided by Outlook PST. Outlook PST is the file format used to store copies of messages, calendar events, and other items within Outlook. All the emails and mailbox items inside the PST files are saved when the user is working on Outlook as a duplicates copy on the user system. But converting MBOX into PST file format is difficult as both are different file format which is supported by different email clients. Therefore for the effective and adequate conversion of MBOX to PST files, one needs the third-party solution i.e. MBOX converter software. The MBOX converter software is the safest and most secure solution to convert MBOX files to PST file format. The software is provides the user with enhanced features which effectively convert MBOX to PST file formats. 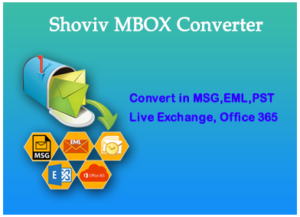 MBOX to PST Converter has the capability import MBOX file to Outlook PST and save it in different formats as PST, EML and MSG. How convert MBOX to PST file format? For the conversion of MBOX to PST files format will suggest using the MBOX to PST converter software as it the most proficient method to convert MBOX to PST file format. Install the MBOX converter software and Run the setup of the program. After the program has been installed and run by the user. The user are advised to Add MBOX files for the add MBOX files option in the ribbon bar. After the files has been added. Select the MBOX file and Go to the ribbon bar and select export Outlook PST. After the selection is done a dialog box will appear in which the user are required to fill the information according to Export type, Target selection and Filter criteria. After all the required details has been filled by the users. The users are advised to select the Export button in the dialog box. After the necessary process has been done the user is required to wait till the program is completed. After the program is completed the user can Save the report and Finish the program. The manual method is lengthy and time consuming. The manual methods does not support multiple or bulk conversion. The manual method does not guarantee the outcome and result. There are chances of file corruption and data loss. Since there are demerits of using the manual methods, therefore, it would be wise on the user end to go opt for methods which do not risk user MBOX files and data and also provides results which are satisfactory which in this case is the MBOX to PST converter. Export MBOX emails from multiple mailboxes to PST file formats. Support quick transfer of MBOX to PST, EML and MSG. Export MBOX files into Office365 and Live exchange for better services. Maintaining hierarchy of all the MBOX files and items. Support 20 other email clients which support MBOX. Cost free demo mode to assure product quality and integrity. Though the MBOX files are used by the number of popular email clients such as Thunderbird, Opera Mail, Entourage, Eudora, etc due to Outlook outstanding features, the user tends to convert MBOX data into PST file format. Therefore for the effective and adequate conversion of MBOX to PST, we recommend third-party MBOX to PST converter for better results and secure access.